The Y is the nation’s leading nonprofit organization committed to strengthening communities through youth development, healthy living and social responsibility. The Family Y has been listening and responding to our communities most critical needs for over 150 years. Today, we fulfill the needs with nine Y locations, an 88-acre camp on Lake Thurmond, two licensed childcare centers and 33 after-school program sites in Richmond and Aiken counties. We want our community to see the impact we make each year in the programs and services offered at The Family Y. As you search through our catalog, you will see each program and service is created to reach you through three areas of focus: youth development, healthy living, and social responsibility. Every Family Y location touches its community in these areas. We invite you to look at the many life-changing opportunities offered at each location. The Y is a powerful association of men, women and children of all ages and from all walks of life joined together by a shared passion: to strengthen the foundations of the community. With a commitment to nurturing the potential of kids, promoting healthy living and fostering a sense of social responsibility, the Y ensures that every individual has access to the essentials needed to learn, grow and thrive. 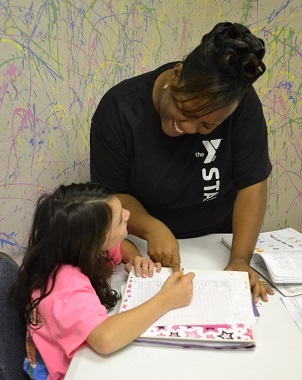 Anchored in more than 10,000 neighborhoods around the country, the Y has the long-standing relationship and physical presence not just to promise, but to deliver, lasting personal and social change. Though the world may be unpredictable, one thing remains certain – the Y is, and always will be, dedicated to building healthy, confident, secure and connected children, families and communities.